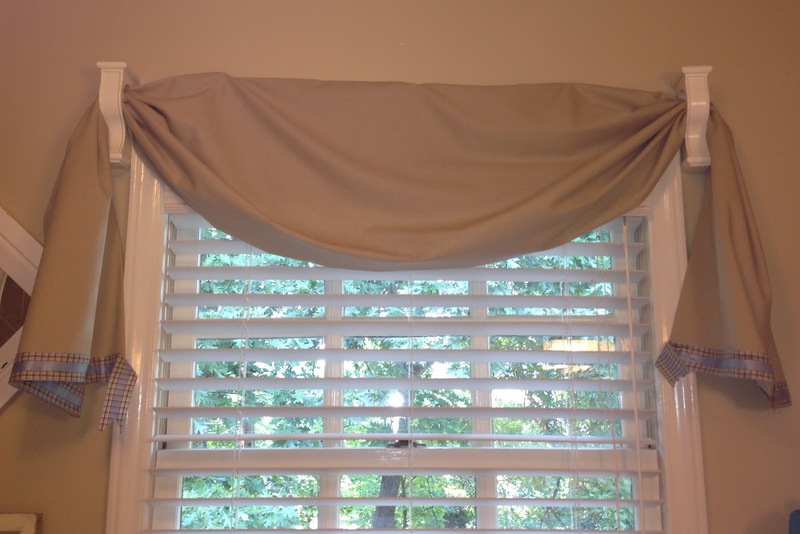 Always Something: No-Sew Curtains - Easier Than You Think! 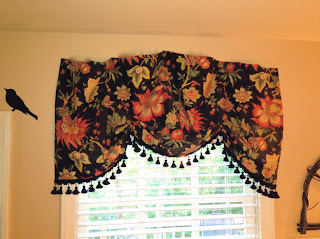 Yep - put together with the glue gun. I even don't have them on a rod or cornice board. 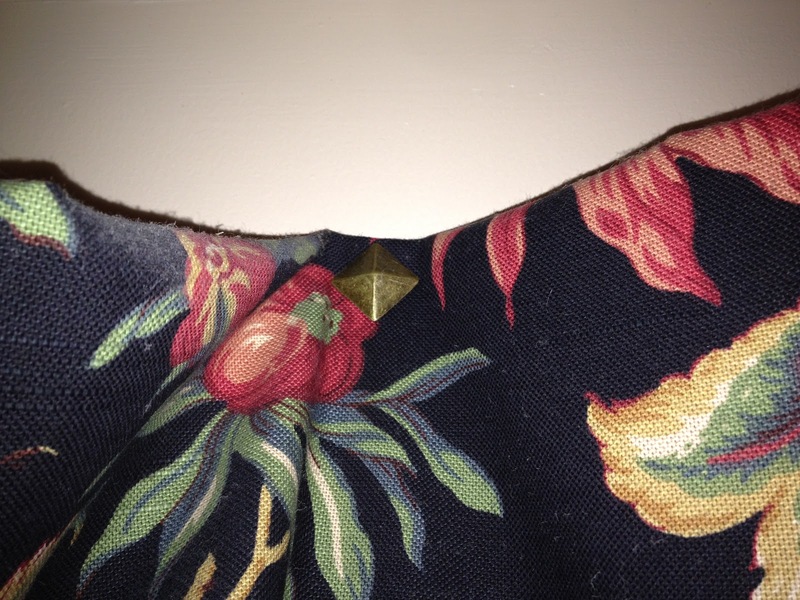 They are put up there with nothing but upholstery tacks. 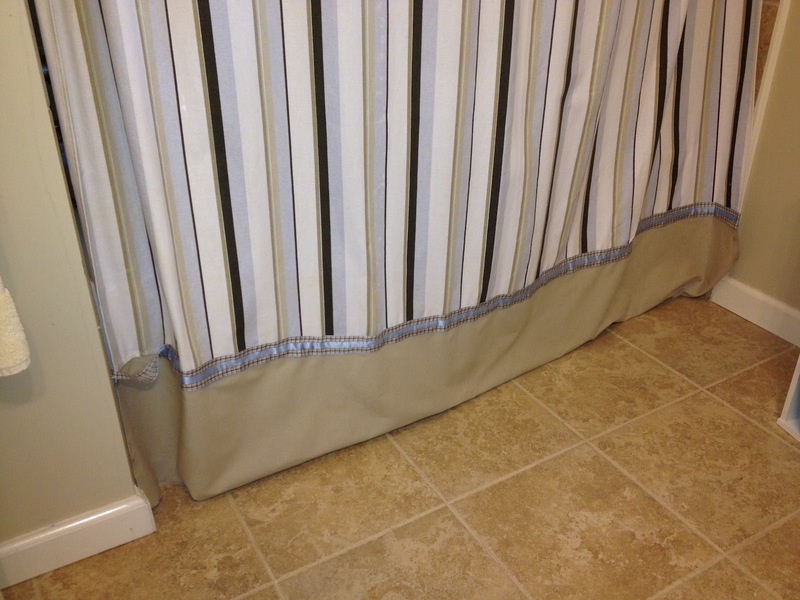 The purchased shower curtain is extended with fabric and ribbon (attached by way of the glue gun) that match the curtain, then hemmed with - you guessed it - glue. 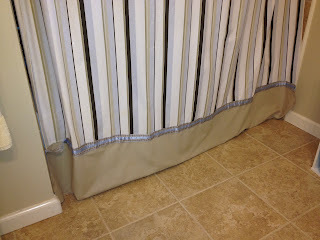 Even after 3 years and many long, steamy showers, none of it has budged. Incredible, huh? 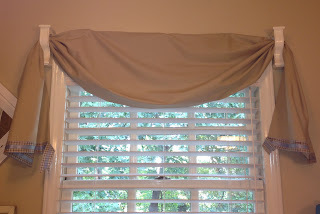 Tomorrow I'll show you the latest window treatment that was put together with burlap, hot glue, and a little left-over trim. It doesn't get much cheaper than that! Beautiful. I am no sewer and I am inspired to make this. Thanks for the idea.